This book offers a timely intervention in current debates on diaspora and diasporic identity by affirming the importance of narrative as a discursive mode to understand the human face of contemporary migrations and dislocations. Focusing on the Caribbean double-diaspora, Pulitano offers a close-reading of a range of popular works by four well-known writers currently living in the United States: Jamaica Kincaid, Michelle Cliff, Edwidge Danticat, and Caryl Phillips. Navigating the map of fictional characters, testimonial accounts, and autobiographical experiences, Pulitano draws attention to the lived experience of contemporary diasporic formations. 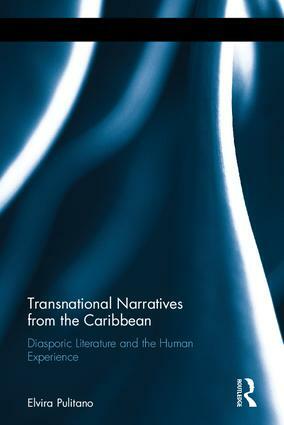 The book offers a provocative re-thinking of socio-scientific analyses of diaspora by discussing the embodied experience of contemporary diasporic communities, drawing on disciplines such as Caribbean, Postcolonial, Diaspora, and Indigenous Studies along with theories on "border thinking" and coloniality/modernity. Contesting restrictive, national, and linguistic boundaries when discussing literature originating from the Caribbean, Pulitano situates the transnational location of Caribbean-born writers within current debates of Transnational American Studies and investigates the role of immigrant writers in discourses of race, ethnicity, citizenship, and belonging. Exploring the multifarious intersections between home, exile, migration and displacement, the book makes a significant contribution to memory and trauma studies, human rights debates, and international law, aiming at a wide range of scholars and specialized agents beyond the strictly literary circle. This volume affirms the humanity of personal stories and experiences against the invisibility of immigrant subjects in most theoretical accounts of diaspora and migration. Elvira Pulitano is Professor of Ethnic Studies at California Polytechnic States University, San Luis Obispo, where she teaches African Diaspora and Indigenous Studies. Previous publications include TOWARD A NATIVE AMERICAN CRITICAL THEORY (2003) and an edited volume titled INDIGENOUS RIGHTS IN THE AGE OF THE UN DECLARATION (2012).